File Fix Utility Software Solutions is a proficiently administered and it uses most advanced technologies in providing software solutions worldwide. We provide our clients and customers best technical solutions all over. Our constant focus is on providing the best software support and advanced technical solutions in the sphere of Data recovery, Email conversion, email recovery, multimedia converter and pass word recovery. Our professional servicing has made us most recognized and known name in this field. We aim at supporting our clients and customers with every software solutions in order to handle any kind of technical recoveries, file conversions and many more. As technologies are becoming more advanced every aspects of life is getting computerized, in every sector computers are used and internet has replaced any other means of communication as it is the easiest and fastest way to stay connected to all parts of the world. All kinds of data can be, and are shared through internet and are stored in the computer. In any kind of technical problems or data loss users requires recovery tools to solve the problem. This is where we step in solve your problems with ease with our varied range of products like Email Recovery, Data Recovery, PST Management, Cloud Computing etc. We keep up with the newest technologies and provide software solutions accordingly. Here in File Fix Utility we provide the most advanced software solution and we ensure hundred percent satisfactions of our customers. File Fix Utility establishes a fabulous working bonding with its clients and consumers. 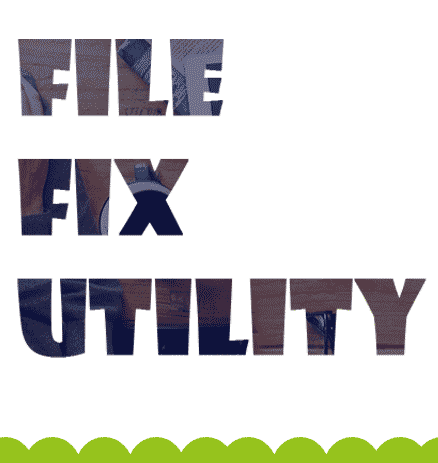 File Fix Utility has great team of efficient and proficiently skilled members who work to fulfill the individual technical needs of the customers with their expertise provide the exact solution.